Microsoft Excel is perhaps the single most important software program used in business today. Particularly in the field of information systems, Excel is an essential end-user computing tool. 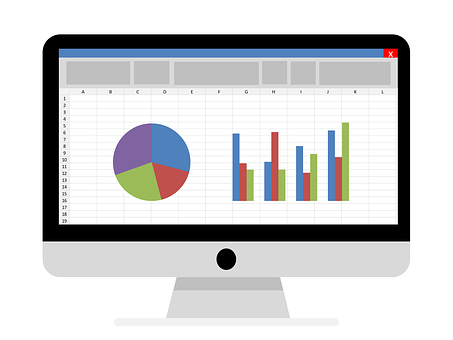 Many business professionals use Excel to perform everyday functional tasks and an increasing number of people rely on Excel as a decision support tool. Excel enables users to unlock the potential of their data by using formulas across a grid of cells. Data is inserted into individual cells in rows or columns which allows sorting and filtering. This course will enable you to create a spreadsheet from a given specification, manipulate data using cells, label cells and formula cells and perform basic sums such as addition, subtraction, multiplication, division and sum. You will also learn to create leading edge presentations using a number of different features such as pie charts and graphs and add colour to your presentation using the fill color function. A host of other key functions such as conditional formatting which enables you to easily spot trends and patterns in data is merely scratching the surface of what Excel can do. Your formula for success with Excel gets even better when you enrol for BOTI’s MS Excel for beginners course! BOTI offers Microsoft Excel courses, computer short courses and computer training programmes. BOTI offers business training programmes across South Africa. The principles of creating spreadsheets. How to create, open and save spreadsheets. The differences between data cells, label cells and formula cells. The benefits of saving a file in different formats. How to use the functions of addition, subtraction, multiplication, division and sum. Building charts and graphs such as pie, column, line, bar, and scatter charts. Using conditional formatting to add colour, bold and italics. Bringing data together in a single location such as importing text and images and files from external sources. The various properties of a spreadsheet including ribbon, file tab, quick access toolbar, window controls, title bar, status bar, flash fill, separate workbook windows, quick analysis, table slicers, changing column widths and row heights. Understanding the various uses of Excel including but not limited to for finance, school applications, forms, lists and sports. Using separate workbook windows to compare formulas between workbooks. Use Recommended PivotTables to assist you to create the most appropriate PivotTable. Changing column widths and row heights. Easily edit cells using the formula bar. Creating and using formulas using the point and click method. Saving files in various formats. Inserting, deleting, moving and hiding rows and columns. Using AutoFill to help save time when entering multiple sets of data. Fitting and scaling content prior to printing a spreadsheet. This course is suitable for those individuals who are seeking to improve their computer skills. ‘I learned new skills regarding formulas, functions and pivot tables..
BOTI offers Microsoft Excel courses, computer short courses and computer training programmes. Book your seat now on BOTI’s MS Excel for beginners course. BOTI offers business training programmes across South Africa.